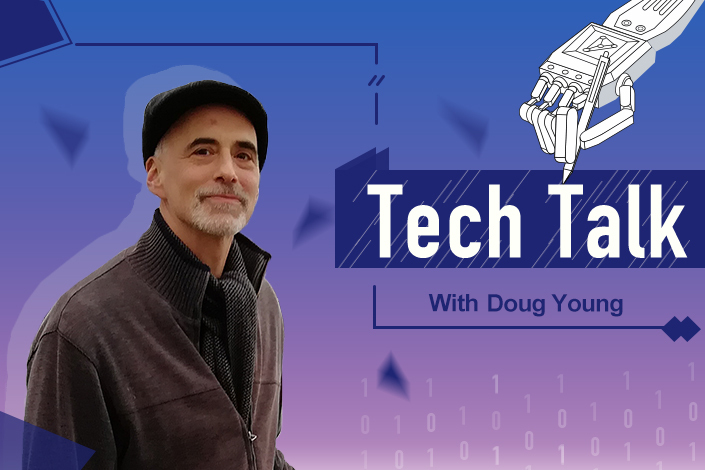 This week marks the launch of Tech Talk, a bi-weekly column featuring in-depth looks at China’s latest technology trends and the companies behind the stories. 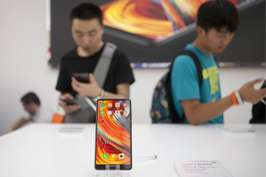 We’re taking a virtual magic carpet ride to Spain for this inaugural Tech Talk column, where smartphone wunderkind Xiaomi Inc. is making its own inaugural appearance at the world’s biggest telecommunication show in Barcelona. In many ways I feel like a sort of surrogate parent for this company, whose name is pronounced something like shyao-mee, as I’ve watched it grow up from its inception in 2010, including its high points and some low ones it would probably rather forget. This coming out at the Mobile World Congress is somewhat low-key for Xiaomi, whose name means millet or “little rice” in Chinese. Even as I sit here in my Beijing office, one of my contacts in Barcelona tells me the company’s first-ever booth at the show is a modeled after its trademark Mi Home stores, in a nod to the ecosystem of interconnected smart devices and services it hopes to create. No events are planned for the show, in sharp contrast with the company’s earlier style of high-profile events filled with bright lights, bells, whistles and plenty of hype. The demure debut marks an important step onto the world stage for a company that’s planning an IPO in Hong Kong later this year, likely to be one of the world’s largest, raising $10 billion or more. Everyone has been watching closely since that IPO plan first emerged this year, waiting to see where investors will value a company whose net worth was last pegged at about $45 billion three years ago. Estimates say its current value could be anywhere from $60 billion to as much as $100 billion, showing just how unsure people are about its worth. While Xiaomi’s ecosystem may be its dream of the future, the company remains squarely a smartphone player for now. Its brief history has been pockmarked with ups and downs, starting with a meteoric rise in the first few years after the launch of its first phones. That was followed by a couple of bad years as it suffered from quality issues and bottlenecks created by its original online-only sales model. After a period of retrenchment it began to emerge from the slump around the middle of last year, and has done quite well since then. The company vaulted back into the global top five brands in a big way as its comeback gained steam, landing as the world’s fourth largest brand on sales that doubled to 28.1 million units in last year’s fourth quarter, according to data tracking firm IDC. The company marked another big milestone during that same quarter, as it overtook global heavyweight Samsung to become the biggest brand in India just three and a half years after entering the market. The India triumph speaks to a lesser-known side of Xiaomi, namely that this isn’t a high-end brand and its profit margins are probably extremely thin. Of course this is somewhat guess-work, since Xiaomi is still a private company and tends to only release numbers that show itself in a positive light. But data from third-party industry trackers paint a fuller picture of what this company is all about: how to sell huge numbers of low-end phones in emerging markets where $100 can be a major expense for the average consumer. IDC says a whopping 92% of Xiaomi’s India smartphone sales last year were for its lowest-end line of models, called Redmi, carrying an average price tag of just $132. The average Redmi price tag drops to an even lower $118 when we look at the company’s worldwide sales, with the low-end phones accounting for 78% of its global total unit sales. That means that if we do some math, Xiaomi’s 92 million smartphones sold last year would have probably generated about $11 billion. That’s a fraction of the figures for Apple, whose iPhone sales reached $62 billion in its latest reporting quarter alone, fueled in part by the launch of its latest iPhones. That huge gap speaks volumes, since Apple’s phones on average cost many times more than Xiaomi’s, and are also far more profitable. 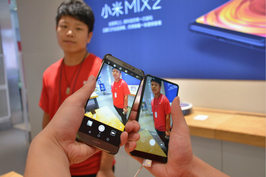 Such a low-end image and skimpy profit margins may be part of the reason Xiaomi is taking a relatively low-profile approach to this appearance in Barcelona. Outside the exhibition center where Xiaomi is touting its wares to a global audience, Barcelona and Spain are symbolic in another way. 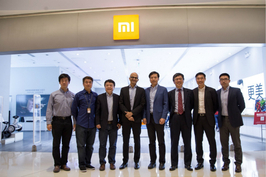 That’s because the country is the first for Xiaomi in the important Western European market. Xiaomi launched its phones there late last year, and my source in Barcelona said the company appears to have built up a reasonably strong fan base in the brief time since then. A company spokeswoman wouldn’t comment on Xiaomi’s expansion plans for this year beyond the nearly 40 countries and regions it now serves, mostly developing markets like India and Russia. But it seems almost inevitable that Xiaomi will try to expand its footprint to other Western European markets, where it will have to vie with better-established hometown rivals Huawei and ZTE. I also wouldn’t be surprised if it tests its toe in the U.S., where the competition from Apple will be even stiffer. At the end of the day, Xiaomi will need to show the world it can be more than a seller of cheap, low-margin smartphones for its IPO to generate any real buzz. That means the company will have its work cut out this year, and I personally look forward to a growing chorus of buzz that’s likely to come as this comeback kid tries to bolster its street cred among both consumers and global investors.